I have a great sale news here!!! Hope you all had a great Thanksgiving meal and lots of fun with family & friends! I had a great one..yummy dinner, then went for a little shopping it was crazy out there. Love, love THIS cute Reindeer. The sentiment font is my favorite too!!! 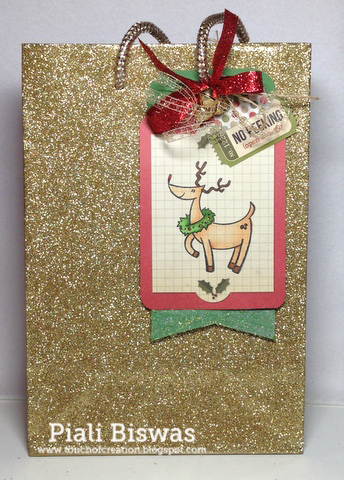 I used some Heidi Swapp- Believe papers for this card. Addicted to Stamps and More : Holidays. Fab 'n' Funky : Cute Critters. 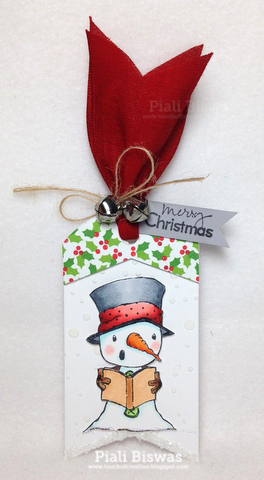 Make sure to checkout POD Blog for amazing DT inspirations and the POD Store for the cutest Holiday Stamps. I managed to sneak in to my craft table in between my Thanksgiving Meal prep work. 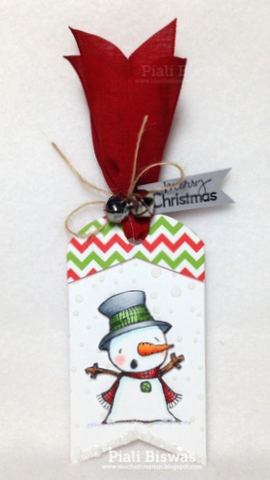 Quickly Whipped up another batch of Holiday Tags using my recent favorite Reverse Confetti Tag die and stamps. 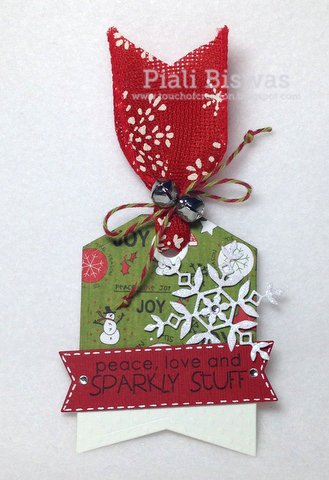 The gorgeous Snowflake die is from Simon Says Stamps... ♥♥♥ it!!! 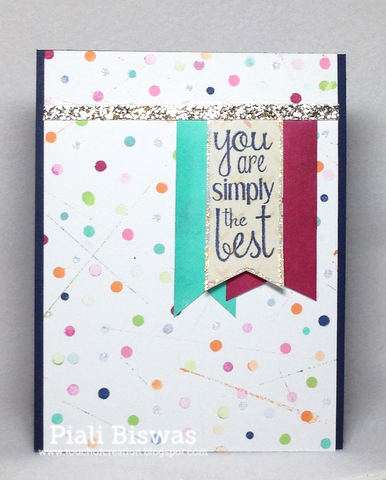 The lovely sentiment is from Reverse Confetti stamp. 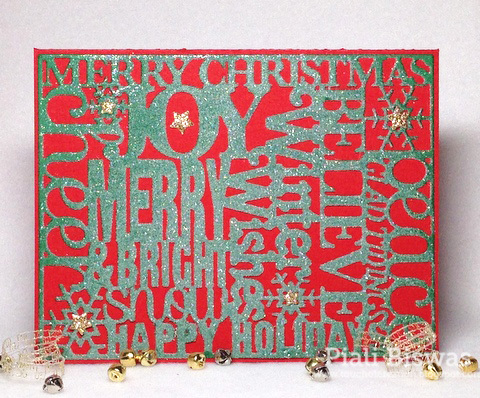 I used Recollections glitter cardstock for the snowflake , its really very pretty & sparkly. Super quick and simple tag !!!! Simon Says Stamps: Anything Goes. 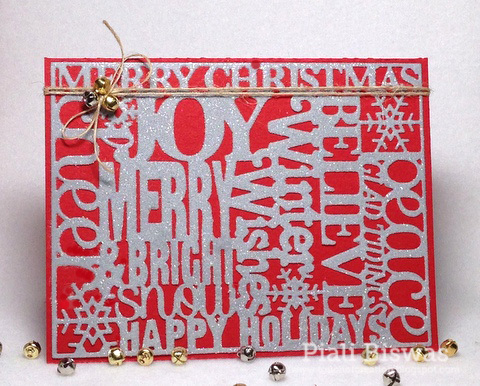 Creative Craft Challenges: Non Traditional Christmas Colors. Kids will come back early from school today... then fun fun looooooooong weekend begins!!! Wish all my US readers a very HAPPY THANKSGIVING!!!! Hope you all are getting ready for the Black Friday shopping and all my US friends are preparing for the BIG meal!!! I'm planning on getting A Silhouette Cameo( Yes! I don't have it yet) , if you come across any great deals, please let me know. ...I played with few of my new Holiday Goodies. I'm absolutely in love with THIS Tag die set and loving THIS bell die a lot. The cute Bow Tie die is one of my favorite dies from Lil' Inker Designs. The stamps are from Reverse Confetti. Recently found some paper twine...Loving it!!! 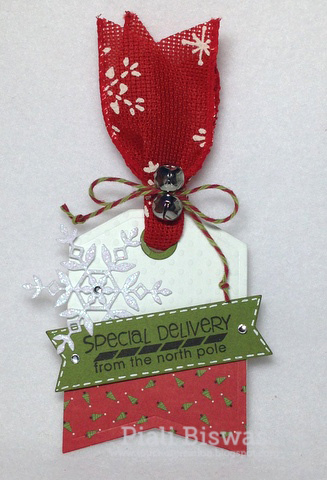 I used SEI Kraft papers for the tag and American Craft's glitter paper for the bell. Its super shinny up close...very pretty but its extremely hard to take picture of shinny stuff. Top Tip Tuesday : Be Krafty. 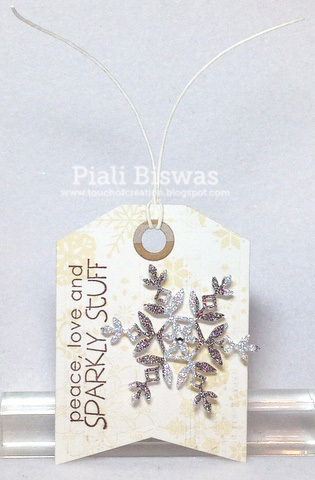 Going Grey With Scrap-Creations: Make it Sparkle. All Crafts Challenge : Anything but Card. Next ....mass production of holiday cards. 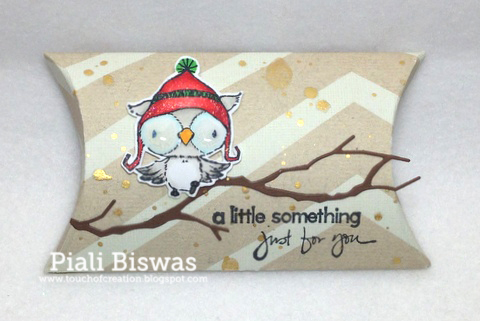 The gorgeous cover plate is from Lil' Inker Designs...its a bit tricky to cut but end result is fabulous!!! I used a metal shim while diec utting this plate, you can see the result ...a very clean cut. I used spray adhesive to apply my Favorite Martha Stewart fine glitter. Its super sparkly up close....has kind of a frosty look too. Simple card...just added some mini bells with May Arts jute twine. Made a bunch of these for hand deliver to friends & families within the state. Made quite a few sparkly cards...just need to add embellishments. This design is for mail delivery...so kept it quite flat. The little stars are the leftover pieces from the Bell diecut...absolutely perfect for flat embellishments. Love the sugar gumdrops kind of look on these cards!!!! Hello & Happy Saturday Everyone!!! 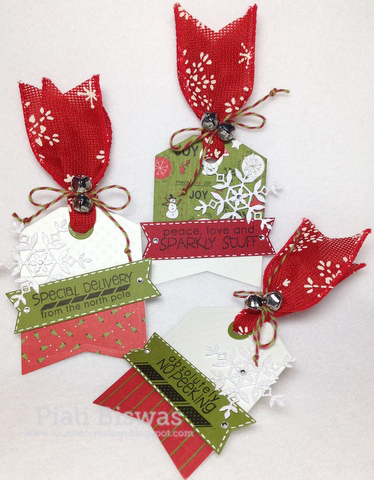 Its my day over at Timeless Twine blog, so I made some Cute & simple Tags using TT- Christmas twine. 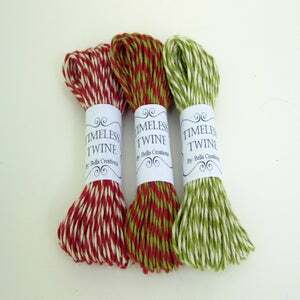 I love the traditional holiday color twine....its perfect for all Christmas project. They are on SALE now...you can get it two different packs.. 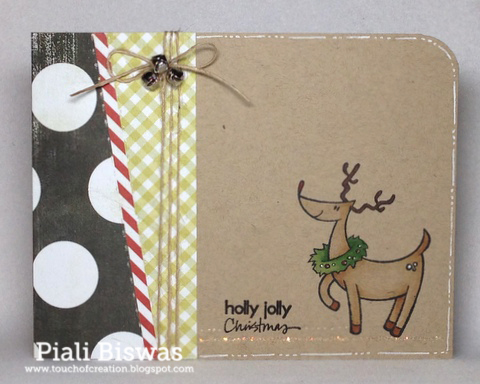 Perfect shade of red & green...matches with lots of new holiday paper collection. 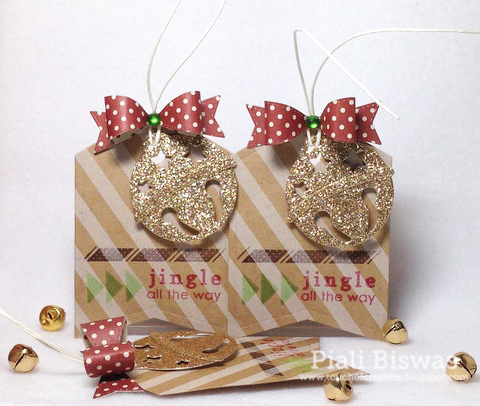 I used Bazzill holiday paper collection and Reverse Confetti stamp & dies for this tag set. The pretty snowflake die is from Simon Says Stamps. 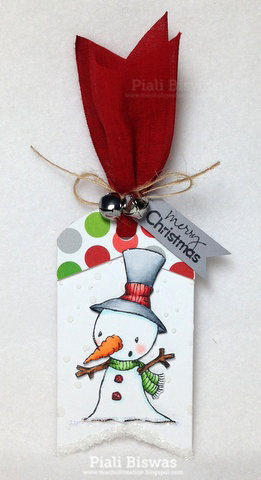 Cute & simple tags ...will make any gift extra special!!! 4 Crafty Chicks: Anything Goes. Bearly Mine Challenges : Traditional colors. Ribbon Carousel Challenge : Holidays & celebration. Here are some new Holiday projects!!! I'm slowly getting my Holiday stuff done...YAY!!! 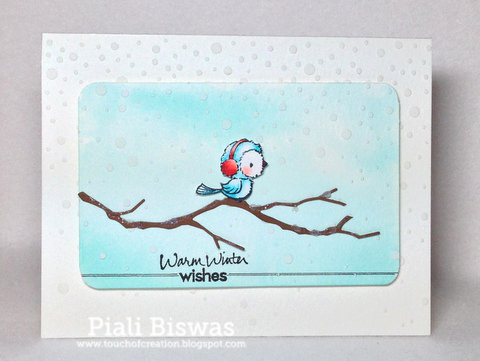 I used POD-Silver stamp ...the cute winter bird for my card. Branch diecut is from Memory Box. I created some snow effects with Simon Says Snow Stencil and embossing paste and on the branch i applied glossy accents and Martha Stewart Fine Glitter. C is for Challenge: Winter is coming. Love this cute Reindeer ....POD-Danson Decorating!! I stamped the image on Simple stories journalling tag from their holiday collection, colored it with copics and added some May Arts ribbon, twine and bells....easy peasy!! 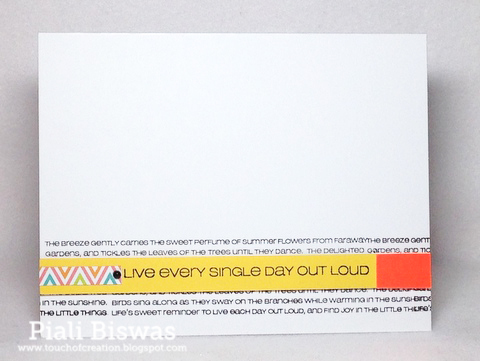 Also added a sentiment sticker from the same paper collection. 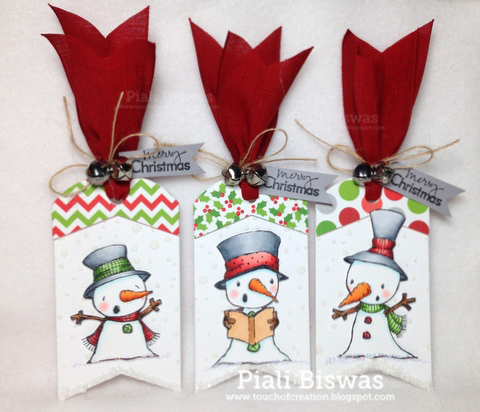 Crafty Bloggers Network : Christmas. Craft-Dee BowZ : Handmade bow. Make sure to check out Purple Onion Designs Blog for amazing DT creations!!!! Hello and Happy Monday Everyone!!!!! 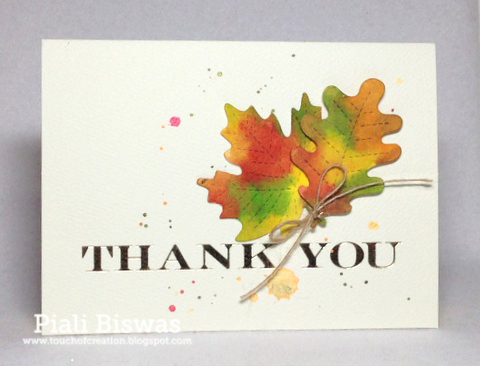 I used blank thank you card from Michael's and added some FALL-ish touch to it. The beautiful leaves are from Lawn Fawn...love THIS dieset!! Colored the leaves with some Distress inks and water... quick & easy!!! Simon Says Stamp : Thanks/Thanksgiving. Pile It On -: With Thanks. Ai "Gobble 'til You Wobble" Bloghop!! Welcome to Ai- Shake your Booty Release hop!!!! Art Impressions carry a fun line of stamps called "Shake Your Booty", as the name we've some "Action" going on here with Action Wobbles. Each stamp set comes with a Action wobble. I used "Disco Set" today. The DP is from Studio Calico. Here is the inside of the card...where the fun is. Sorry I'm not good at videos...just used my iphone to share the fun with you all. Don't forget to play with Ai "Gobble 'till You Wobble" challenge you can win some super fun Ai goodies!!! 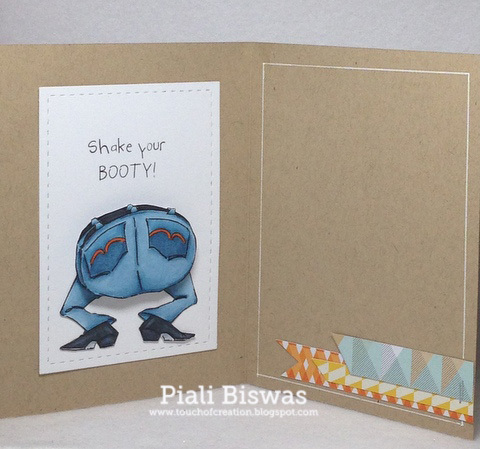 See you tomorrow with another "Shake Your Booty " card..
Its a MUST HAVE set for me!! ...but now my search is over, I can make my own text background in different text style whenever I want. I made the texty feathers by simply coloring white feather diecut( I used THIS die) with Distress ink and stamping the text image on it. The sentiment is from CFS-Wonderful Words. Created With Love Challenges: Thank you. 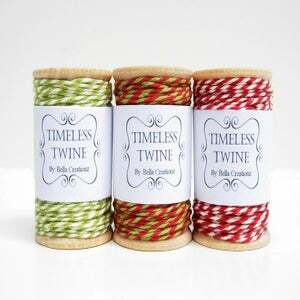 Party Time Tuesdays : Use twine. Use Your Stuff : Use limited supplies. 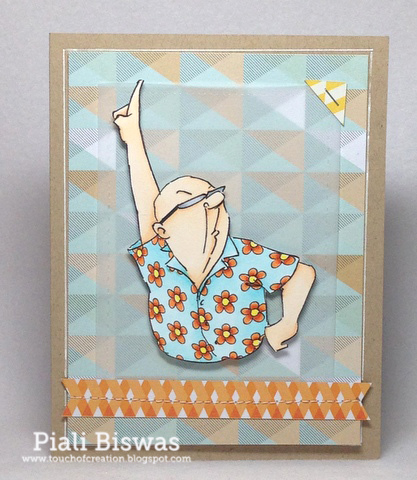 Please visit CFS blog for a chance to win fabulous CFS stamps & dies. It's Day#2 of CASual Fridays Stamps New Release sneak peek??? A pretty set with lovely sentiments co-ordinates with CFS- 4 petals dies. I created the fun background with the images from the set & Hero Arts inks. Artistic Inspirations: Use a Sentiment. 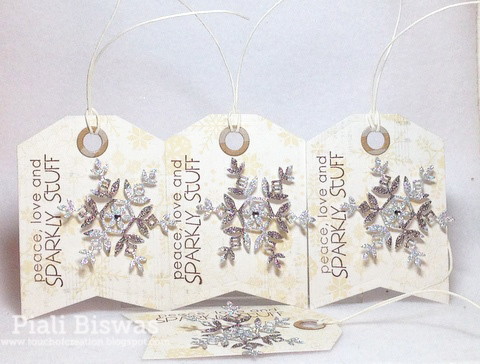 Creative Creations Challenge Blog: Sparkle & Shine. Hop over to CFS Blog to check out the Ah-mazing DT creations and to win some gorgeous CFS goodies!!! Are you ready for the sneak peeks of the new CASual Fridays Stamps release??? 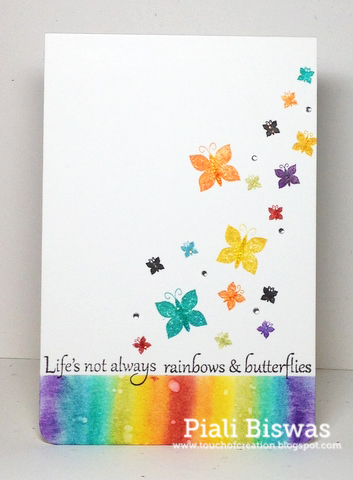 How fun is the Butterfly Rainbow?? Love the beautiful sentiments of this set. Heat embossed the image and sponged the various shades of Distress inks. Rainbows & Butterflies....all pretty stuff!!!! This set can be used all year long for lots of occasion. 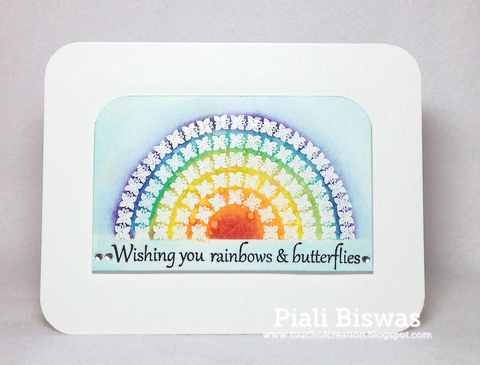 I used lovely Distress inks for my rainbow. 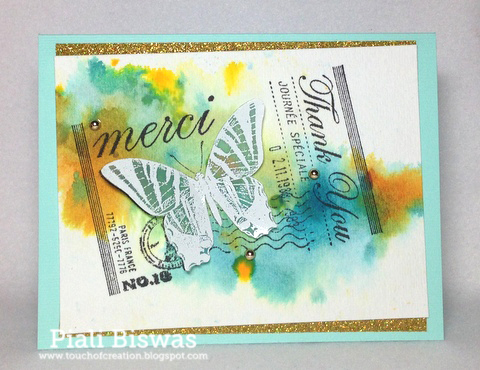 CAS on Sunday: One layer card. Hop over to CFS Blog for amazing eye candy and a chance to win some gorgeous CFS goodies!!! 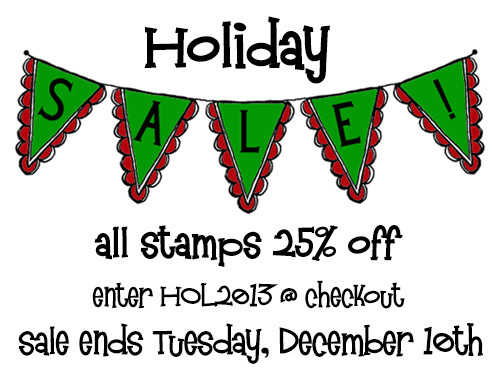 Check out the fab new Holiday stamps.....HERE. Here is a peak of new Purple Onion Stamps..
Loooooooove this set..it's a must have!!! For more peeks visit POD Blog. Hello and welcome to the Moxie Fab Thanks hop for Cath!!! If you are here from Amy Sheffer's blog , you are right on track. If you're just joining me now please go to MOXIE FAB WORLD Blog to start this amazing hop. I'm not very good with words so in short I would like to say .....for me..
CATH is the Moxie Fab part of the Moxie Fab World, it won't be the same without her. I still remember the day I received the email from Cath , she invited me to be the Moxie Fabber, I was over the moon excited!!!! Love the way she writes her email, she makes you feel so special!!!! Thank you Cath for all the inspirations you provide us over the years!!! Thank You Cath for showing us the latest Trends of the Industry!!! Thank You Cath for all the amazing Moxie Fab Challenges!!! Thank You Cath for Everything!!! We'll Miss YOU lot....♥♥♥ You!!! I wish someday I will meet you in person...maybe I've to make a trip to New Hampshire. Wish you all the best for your future ventures!! I know its super fun but long hop so I won't hold up here any longer. Here is the hop list , if get lost anywhere by chance.